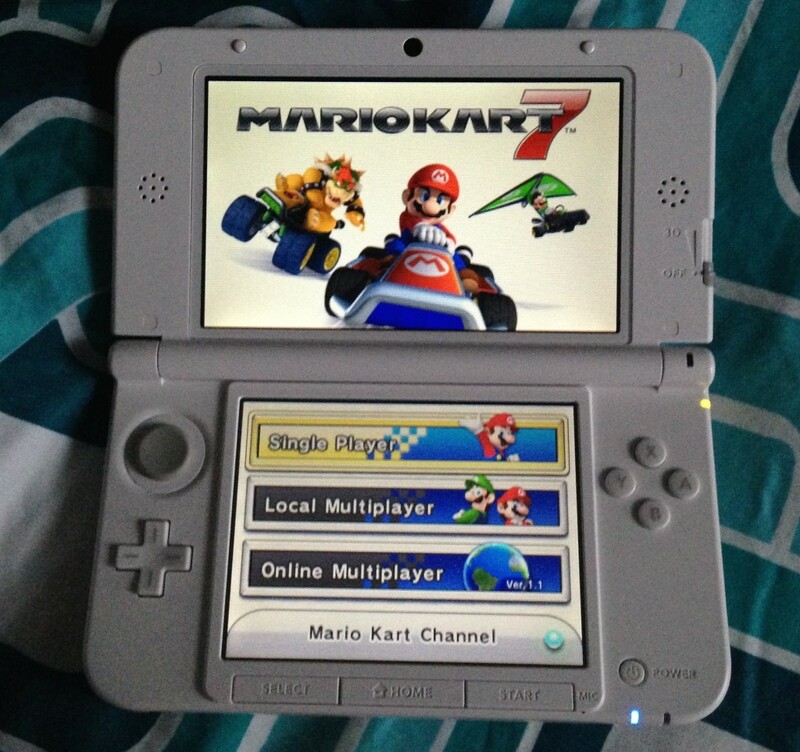 Since Mario Kart 8 is releasing this summer, I thought I’d do a review on Mario Kart 7 for 3DS. I originally started playing Mario Kart on the Wii many years ago. When my husband and I were dating and living on opposite ends of the country, we would arrange times to play Mario Kart against each other online. It was just a lot of fun and the game brings back all these good memories. 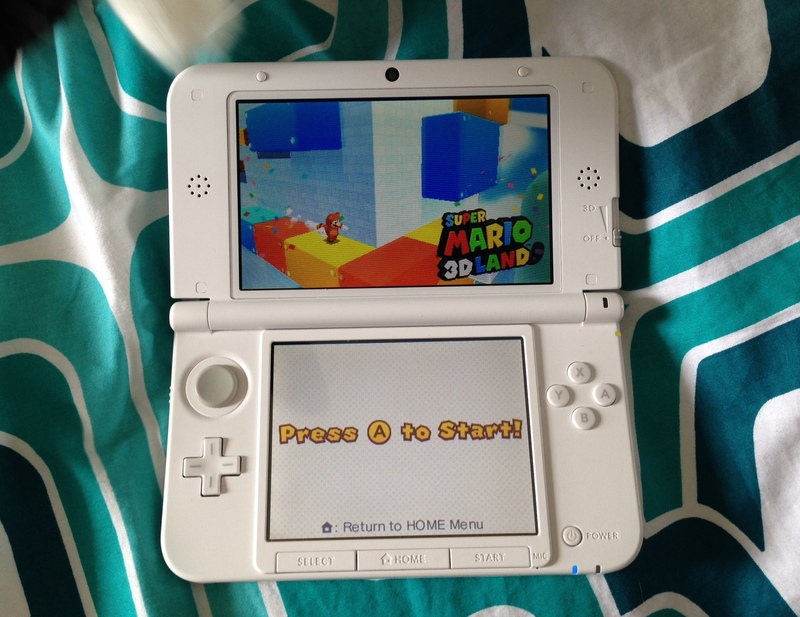 When I found out they made Mario Kart for 3DS I decided to get it because it had been quite some time since I had played that game, and we never got a Wii when we moved in together. I could have reviewed this game months ago, but I wanted to really get into it and try out all the features before giving a final verdict on the game. This game has 8 different cups you can race for in easy (50cc), medium (100cc), and hard (150cc) difficulties. You can also play multiplayer with another person in the room, or online. There are also time trials where you can work to beat your own score, and two different “mini games” where you either try to pop balloons on other cars or collect the most coins during the given time period. The one thing I really liked about this Mario Kart was how half the cups were actually tracks from previous versions of Mario Kart. Though the new tracks are always interesting to drive, it was lots of fun getting to play tracks that were on the Wii, SNES, etc. versions. I also found this Mario Kart had great multiplayer and worked well when I was playing online or with a friend in the room. There was no noticeable lag or freezing during the game which really made the multiplayer enjoyable. However, I found the controls a bit annoying at first. I was very used to using the steering wheel for the Wii game so controlling the car with the circle pad took some practice. I also don’t really like how you have to hold down the ‘A’ button the entire time for acceleration. Though it makes sense to use the ‘A’ button for acceleration, I find my hand gets sore/tired really quickly from having my thumb jammed down on the button the entire time. Other than the controls, which take some getting used to, this is a pretty good Mario Kart for on-the-go (However, I still slightly prefer the Wii version just because of the ease of the controls). The Pokemon games are very near and dear to my heart. They bring me back to my childhood when everything was just a lot simpler. When I was about 7 or 8 my parents had finally gave in to my ever present protests to get a gaming console. For Christmas that year I got a Gameboy Color and Pokemon Yellow. I played that game for years, and still have that game packed away somewhere with my Gameboy. Ever since I got that first Pokemon game I was hooked. I’ve played a few of the other games in the series, Pearl and Heart Gold, but none of them ever compared to the Yellow version that I first started with…until now. 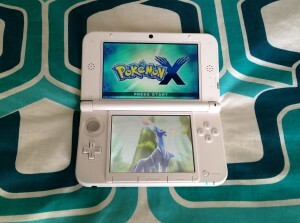 When I first started up Pokemon X, I was honestly a bit unsure of the game. There were a lot of new features that I hadn’t had in any of my previous games, and the controls on the 3DS took a bit of getting used to. I honestly spent about half an hour just trying to figure out what everything did. 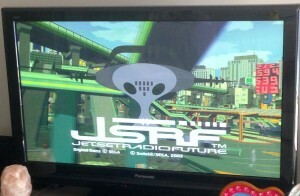 However, when I finally started playing it my opinions changed. This game is honestly everything I wished Pokemon would be. I love how the fight sequences are more interactive and how the whole world is just a lot more realistic (for a video game). I also was able to battle with one of my friends on Friday. The options seemed a lot more straightforward than in some of the previous games I battled other people in. There was no lag in the battle for either handheld console and it was a great seamless experience. If you are a Pokemon fan I suggest checking out either X or Y. Though I am not a fan of some of the newer Pokemon, they still have all the old classics to capture.